Transform your backyard into a relaxing family retreat with the GR730L lounger spa. 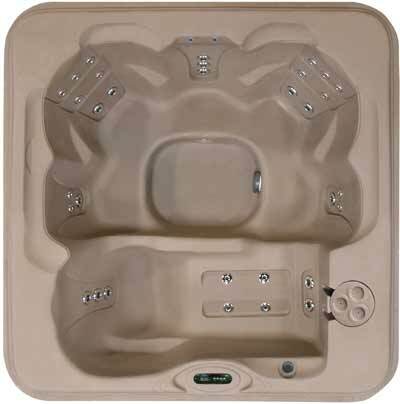 This 7-foot lounger spa features contoured seating and massage therapy jets for the whole family. 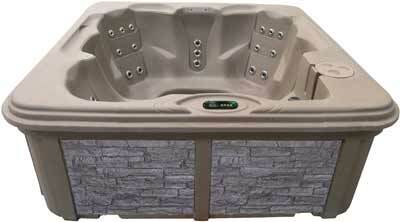 If you are looking for a low maintenance hot tub, then you will love the convenient "Plug & Play" Kit with 110V Cord. Just simply plug in your spa and enjoy family fun! Create timeless family memories with the GR730L lounger spa today! Dimensions:84.5" x 84.5" x 32"